Every runner gets to a point in their running career that they are longing for something more. For seven years, I had run three marathons, at least 12 half marathons, countless 10ks and 5ks. In 2016, I started focusing more on speed work which fueled my fire to place in races. Learning what my body is capable of doing and seeing the results is completely addicting. The quest to BQ (Boston Qualify) was never on my bucket list, let alone the desire to run another full marathon. After my last full marathon in 2014, I had decided to give marathon training a break. It was a lifestyle I wasn’t sure I wanted to keep up. You know going to bed early Friday night so you can prepare for your “Long Run Saturday.” I also truly feared gaining weight. And I’m not talking about muscle weight, but the kind you gain when you gluttonously eat everything in sight. UGH!! The worst! But hey, I’ll save that story for another time and how I learned to fuel my body properly. I first heard of BQ Or Bust on her podcast Run, Selfie, Repeat. She was on this attempt to break the 3:30 marathon in London so she too could toe the line at the Boston Marathon in 2018. For those of you that don’t know, The Boston Marathon is the longest standing full marathon in the United States. Based on your age and gender, there is a qualifying time you MUST meet in order to be eligible to submit an entry. However, THIS does not guarantee you a spot. The race does fill up so you must have an extraordinary time in order to apply. For example: My “Qualifying Time” as a 31-year-old female must meet 3:35 or better. Knowing the race sells out, the odds would be better submitting a Qualifying Time of 3:30 or better. Hence why runners are chasing the Unicorn. Long story short, Miss Roberts doesn’t meet her qualifying time at the London Marathon. She was open about her struggles, her sadness, and her triumphs. I followed Kelly religiously week after week as she poured her heart out on the internet. She was vulnerable, brave, and I commend her! She was my greatest inspiration. If Kelly could attempt the impossible and live to tell the tale; then so could I. And so I commenced my quest to BQ or Bust in January 2017. 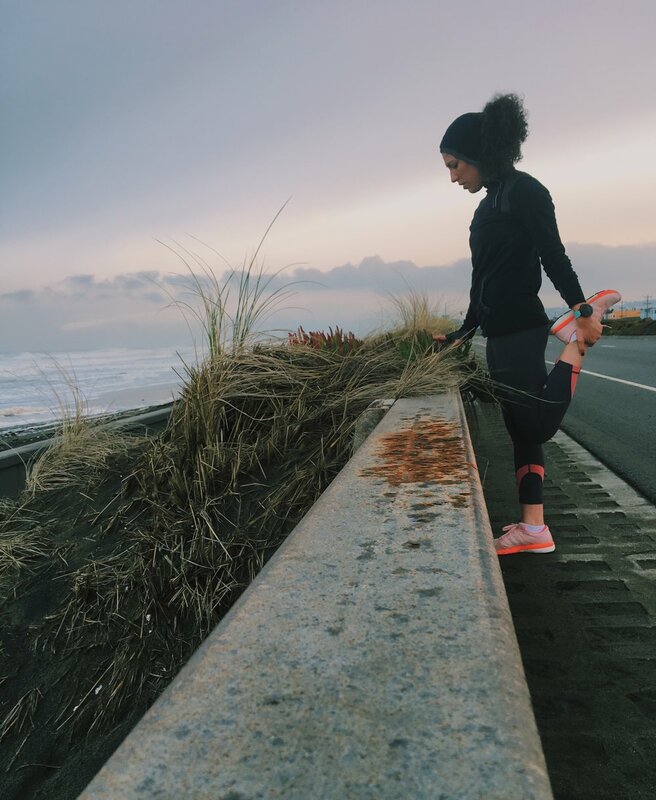 Determined, I followed a rigorous 20-week training plan from Runner’s World Magazine that would lead me to the moment where I'd toe the line at the 2017 San Francisco Marathon. Let the journey begin.